Many of you know that I have a zoo at my house. I have a dog (Maestro), 2 cats (Talkee and Lily), and 2 turtles (Theo and Abi). I spend a lot of money on these loves of my life and am always looking for products that both work properly and help save me money. 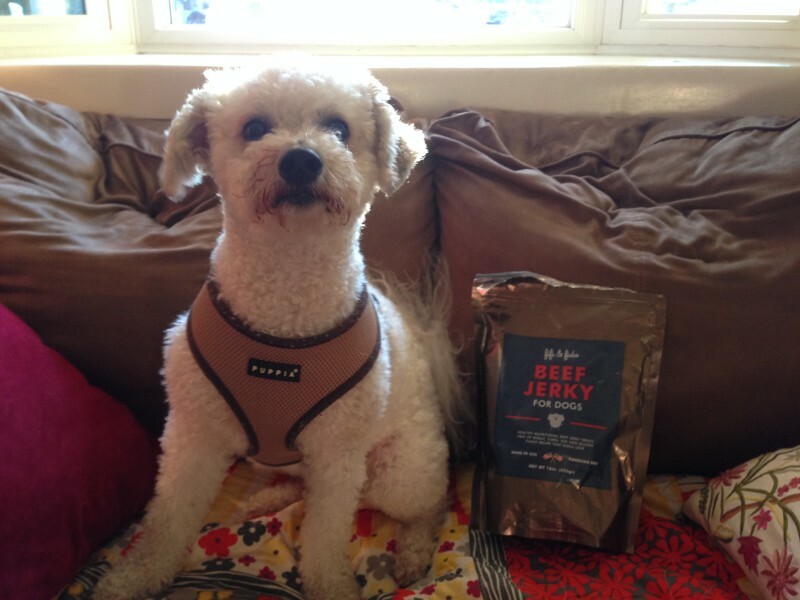 Maestro loves the Fifi Fido Jerky Treats! He gets one as he goes in his crate when we are leaving. He devours it pretty quickly, so I take it that he likes it. Another product is the Pet Urine Odor and Stain Remover from Furry Paws. Of course, no one WANTS to need this product, but with 2 old cats and a messy dog, it is sometimes necessary. This Odor and Stain Remover is great on all animal messes, including hairballs on the couch (YUCK!!) and cleaning the animal crates. This Odor and Stain Remover works on carpets and upholstery to eliminate stains and destroy the odor so the animals won’t return for a repeat offense. It also works on hard floors and crates to clean up any messes. I only have had to use this to spot clean couches (thankfully!) and to wipe down the area around the litter box and Maestro’s crate. It has a nice non-chemical smell and cleaned everything up nicely. This Stain and Odor Remover shipped with a lid and detached sprayer and can be ordered on Amazon. 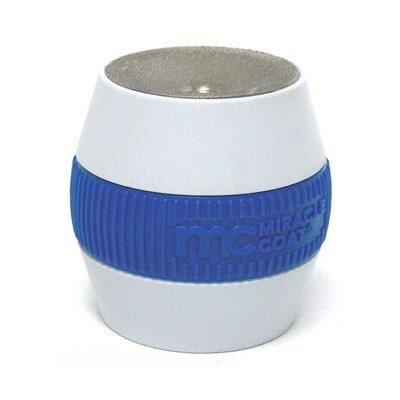 Another product that I thought would be really useful to have is the Miracle Care Nail Sharpener. You are supposed to use this by gently twisting away sharp ends and rough edges of the nails that can scratch people, furniture, and wood floors. I really wanted to try out this product, but Maestro would not let me near him with this! In theory this seems like a great product, but I cannot confirm nor deny its effectiveness because I was not able to use it! Maybe someone else might have better luck with a willing dog. 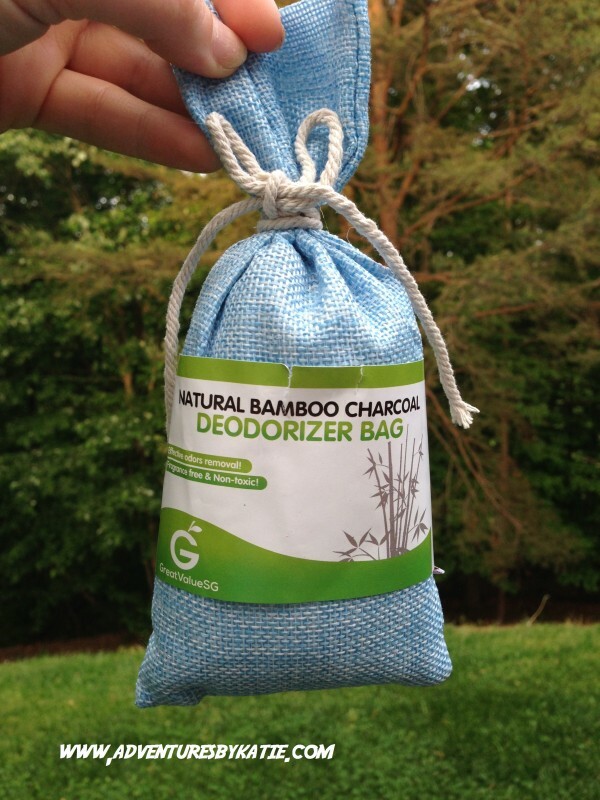 To help with stinky cat smell, I tried the Natural Bamboo Charcoal Deodorizer Bag . 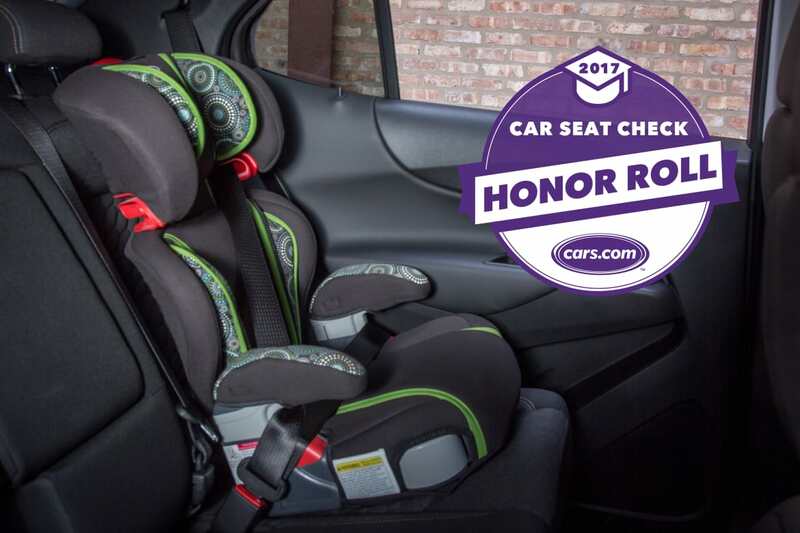 It is made with bamboo charcoal crystals which are supposed to “soak up” stinky smells. I had this in the laundry room where the cat litter box is kept, but did not notice a difference in smell. It could be that my cats are just that smelly….but I don’t know. I will have to move the charcoal bag to a different area of the house to see if it removes any odors.